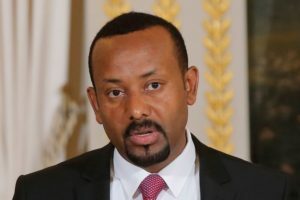 arlier this year, when Abiy Ahmed was seeking the leadership of Ethiopia’s ruling party, the Ethiopian People’s Revolutionary Democratic Front (EPRDF), he encountered stiff resistance. and has won acclaim internationally for his rapid liberalization of the country’s politics; for his promises to organize, in 2020, Ethiopia’s first free and fair election; and for his moves to open up the economy. But inside Ethiopia, away from the euphoria of what is known as “Abiymania,” criticisms abound. One of the most common—and at times most compelling—is that Abiy is a populist in the mold of Turkey’s Recep Tayyip Erdogan, India’s Narendra Modi, and U.S. President Donald Trump. It’s a critique worth contemplating; it also happens to be wrong. and coupled ethnic mobilization in the countryside with posing as a champion of the poor in the cities. Even in this motley landscape, Abiy doesn’t fit in. First and foremost, he does not talk like a populist. Abiy headlines rallies around the country, but he is by no means a tub-thumper. His addresses are not fiery blasts of political invective; they are more like sermons, befitting his background as a devout Pentecostal. He does not fulminate against “elites,” nor does he, despite his ongoing political confrontation with the TPLF, single out ordinary Tigrayans for criticism. Moreover, unlike many contemporary populists—most famously Trump and Modi—who harness new media technologies to communicate directly with the faithful, Abiy does not even have a personal Twitter account. If Abiy has a buzzword, it is “medemer,” an Amharic term which more or less means “unity,” or “adding together.” It suggests reconciliation, not division. In this respect, at least, “Abiy is the least populist leader we have had,” argued Mekonnen Firew Ayano, an Ethiopian lawyer at Harvard University. And it contrasts starkly with his predecessors Meles Zenawi, who led the country from 1991 until his death in 2012, and Mengistu Haile Mariam, who ruled as a military dictator for much of the 1970s and 1980s. Meles headed an EPRDF that cast itself as the voice of the rural peasantry and regularly disparaged opponents as “narrow nationalists” (if they supported ethnic parties like the Oromo Liberation Front) or “chauvinists” (if they supported a return to the former unitary nation-state). Mengistu, for his part, railed against “landlordism” and “imperialism” in the name of socialist revolution. , such as a pliable media and politicized judiciary, for his own ends. Some argue that he has already done so, by using the power of the state to orchestrate a political campaign against opponents in the TPLF. Scores of Tigrayan military and intelligence top brass were arrested in November on suspicion of corruption and human rights abuses. Few doubt that many of the accused are guilty. But the trial-by-media that accompanied the arrests, including a documentary broadcast by various state and state-affiliated broadcasters, gave the affair the whiff of a witch hunt. Similar tactics had also been used by Abiy’s predecessors.